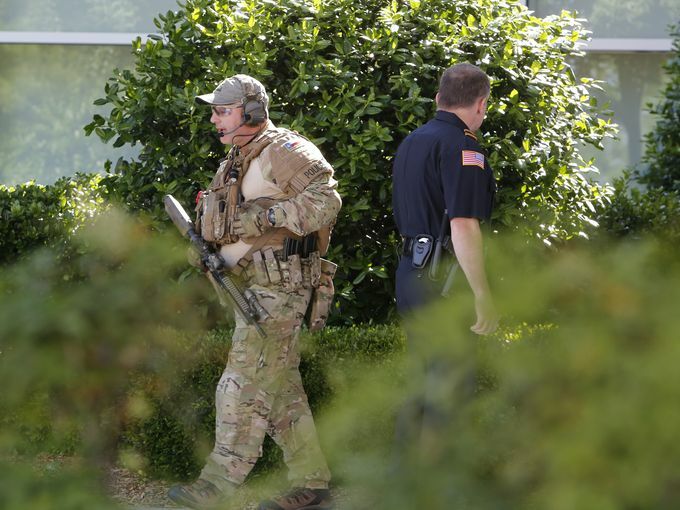 Two gunmen were shot and killed by police on Sunday after they opened fire on security guards at a Muhammad cartoon contest and exhibit in the Dallas suburb of Garland, Texas. The event was organized by conservative firebrand Pamela Geller and featured the anti-immigration Dutch politician Geert Wilders as keynote speaker. Police were not releasing many details as of Sunday night, but the city of Garland’s Facebook page carried a statement saying that one security officer at the heavily-patrolled event was shot in the leg before other officers returned fire, killing the two assailants. Local news station WFAA reported that police were also searching the area for a vehicle that may contain explosives. We will have more on this story as it develops!